iGaming provider Relax Gaming has recently signed a new deal that will see it start supplying its content, including various games and IPs, to Blue Ocean Gaming’s platform. The deal will see some of Relax Gaming’s latest slots being part of the platform, including Epic Joker, Zombie Circus, and Erik the Red. These will be alongside their entire portfolio of games from its Silver Bullet partners, which includes STHLMGAMING and Kalamba. 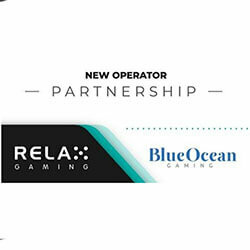 Other titles from Relax Gaming’s partners Felt Gaming and Push Gaming will also be part of the content package that will be added to Blue Ocean’s network of operators over the next few weeks. Relax Gaming chief executive Daniel Eskola stated that they are proud t be growing their reach of their diverse range of games with Blue Ocean Gaming, in a partnership that will be beneficial to both parties. He added that are cementing their reputation as one of the foremost provides thanks to the calibre of both their partner content and their in-house games that are now available through the platform. Mateja Pavil, head of account management at Blue Ocean Gaming, has said that Relax Gaming has demonstrated its ability to lead the way when it comes to providing iGaming experiences, and that have both Relax Gaming and their partners’ content will be a strong endorsement of their online platform. He added lastly that they are delighted be able to start offering these products to their constantly growing list of innovative partners.